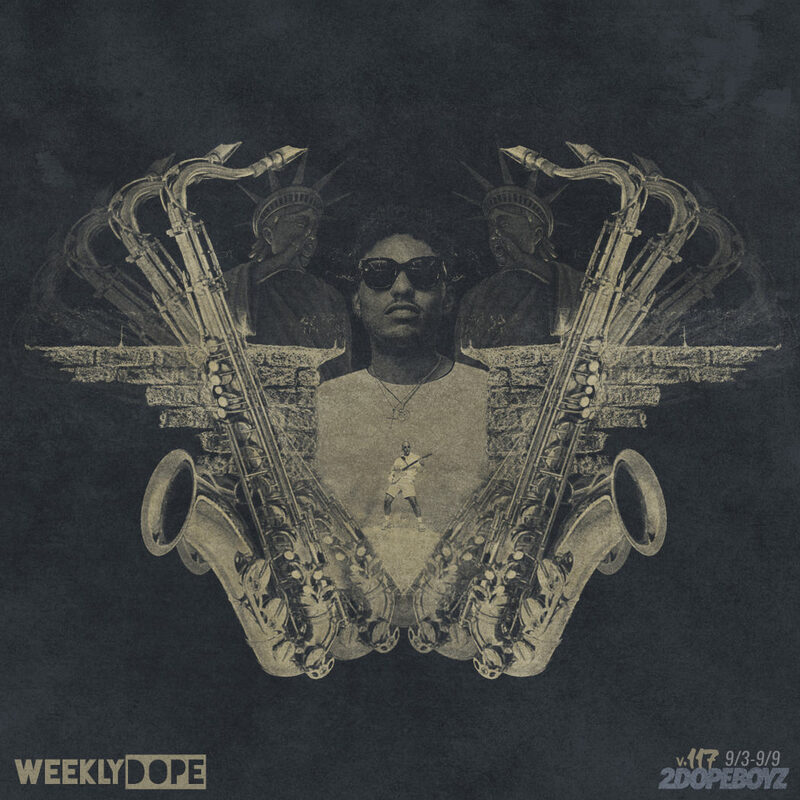 With another seven in the books, we’re back with the 117th installment of our Weekly Dope playlist. And for the artwork, I ran with a mix of Masego for his debut album Lady Lady, Joey Purp for his QUARTERTHING album, Mac Ayres for his Something to Feel album, The O’My’s for their Tomorrow album, and Young M.A for her “Wahlinn” single. On top of that, we also got projects from the YBN collective, Berner, G Perico, Russ, YoungBoy Never Broke Again. T.I. teased The Dime Trap with a pair of singles, DJ Kay Slay brought it “Back to the Bars” with a bevy of capable lyricists, and Ghostface Killah dropped a banger with KXNG Crooked, Benny the Butcher and .38 Spesh. We got a guest verse from Dreamville’s J.I.D, YGTUT updated his Save It playlist, and Majid Jordan hit us with a 2-for-1 special. Plus music from Logic, Kirk Knight, Von Pea, AlunaGeorge, and more. Check out the tracklist and press play below.